Gritness Sports is multimedia sports and entertainment empire founded in 2017 by 2 of the preeminent minds of their era- Hambone and Dirty Dietz. 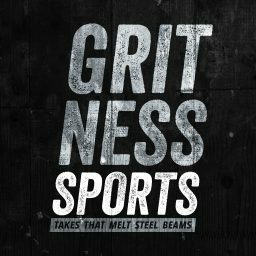 Producing a wide array of blogs like “Dirty Dietz Detests” and “The Yates of Hell,” Gritness Sports is your one stop shop for everything gritty. Gritness Sports also produces the beloved weekly podcast:”The Gritcast” which features electric segments such as “Bills Tailgate Reviews” and “Do You Really Believe in Ghosts?” Tune in every week to get the latest hot takes and opinions from your favorite hosts.